Denis has worked seven days a week for more than forty years as a committed public servant. He is a dedicated family man with five children and seven grandchildren. He has an acute local awareness and assists local people in tasks such as filling out local authority application forms and resolving other important day-to-day issues. Denis is vice-chairman of Coláiste Aindriú Vocational School, Muine Bheag, and is a member of the board of Management of Colaiste Eoin Hacketstown, Tullow Community School, Gael Colaiste and Tyndall College Carlow. He is chairman of Carlow/Kilkenny/Wexford Energy Board and a board member of George Bernard Shaw Visual Theatre. Denis works tirelessly to ensure local people benefit from high standards of roads in rural areas along with preserving local post offices and Garda stations, and is dedicated to helping the elderly, young people and people with disabilities. Denis has been a member of Carlow County Council since 1979. He is a life long member of the IFA and GAA and his national hero is Michael Collins (RIP). Vote Number One, Cllr. 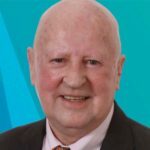 Denis Foley – seeking your support at the local elections on Friday 24 May, 2019. “You see things and say “why”, but I dream of things that never were and I say “why not?” – Used by President John F. Kennedy in his address to Dail Éireann in June 1963.